Called Wayne of Supremo, met up with him and showed him my car. Took his advice and also made mention on what I wanted. Supremo met all my expectations and more. Complete cleaning, top to toe was done, engine bay was done, ceramic CQuartz applied after a a major compounding on the paint work, and PDR was also carried out beautifully. Only one word can describe this. WOW! Fantastic work by Wayne and his team from Supremo. Staffs are still very detail and finishes in excellent condition. 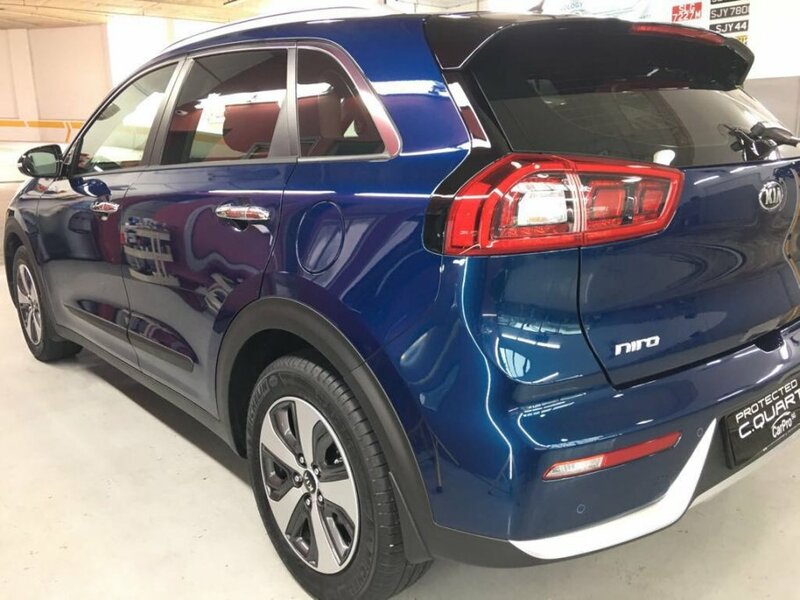 Was hunting for an affordable, yet reliable Paint Protection Scheme for my new KIA Niro. I was totally clueless to what PPS is for. Compared a few prices, and talked to a few too, I settled for Supremo. What caught me, other than the price, was the patience Wayne offered. There were no hard-selling when I first met him. Instead, he even recommended me that the package that I had selected was more than enough to suit my lifestyle. 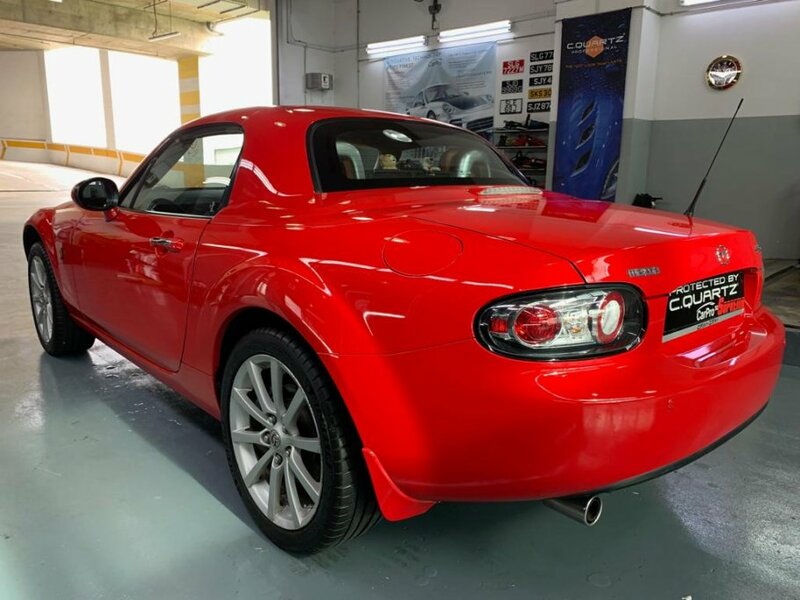 I collected the car at the timing that Wayne had estimated to be, and I was very surprised, if not abit shocked, to see how pretty the car was actually be. It must be because I have neglected the exterior of the car since collection when I purhased it. He shared with me a few maintenance tips, and being a very detailed person, he had also showed me the small dimples due to the original paint on the car that was not able to be hidden by PPS. With PPS, the car still requires frequent visits to maintain the condition. The friendly staff and the detailed care from Wayne and the team, I will definitely visit them again, and recommend anyone who are searching for a good PPS Lobang, to Supremo. By the way, I realised that Wayne is not a local. Speaking to him sounds monotonous, but that is because he is learning Chinese. And I must say that his Chinese is better than some of my Mandarin-speaking friends! Thank you and kudos to the Supremo team.! Wayne has been very patient (w me) and detailed oriented when it comes to the PPS. I did cquartz finest with him about 1.5 years ago. The car still shines like it's new, and the paint repels water easily (rain drops literally glides over the car during rain). Washing of car is also much easier. 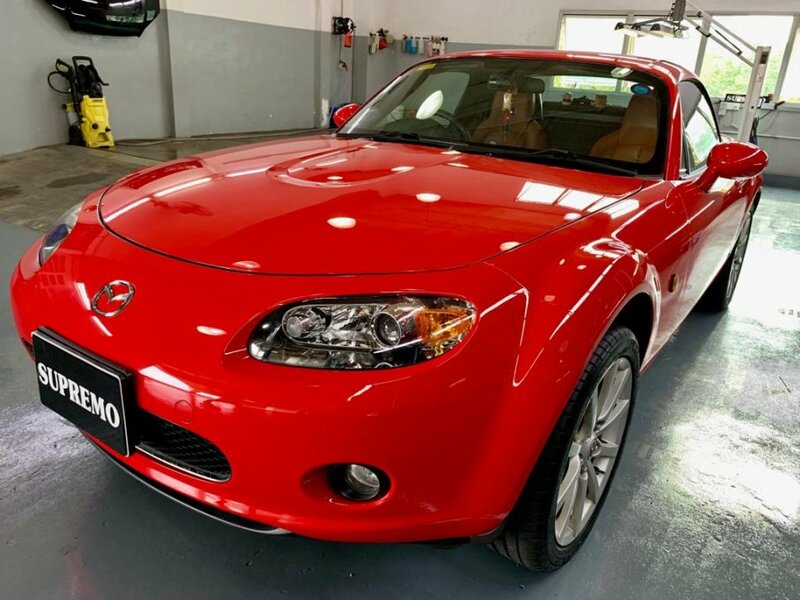 I went back to Wayne with hesitation when there is a new car in my family. 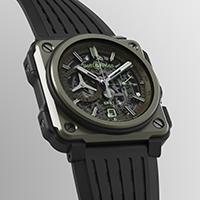 This time round, was sold on cquartz finest reserve. As it was an used car, Wayne had to go the extra length to make good the blemishes left by the previous owner. Now, I actually have people commenting that the car is new! 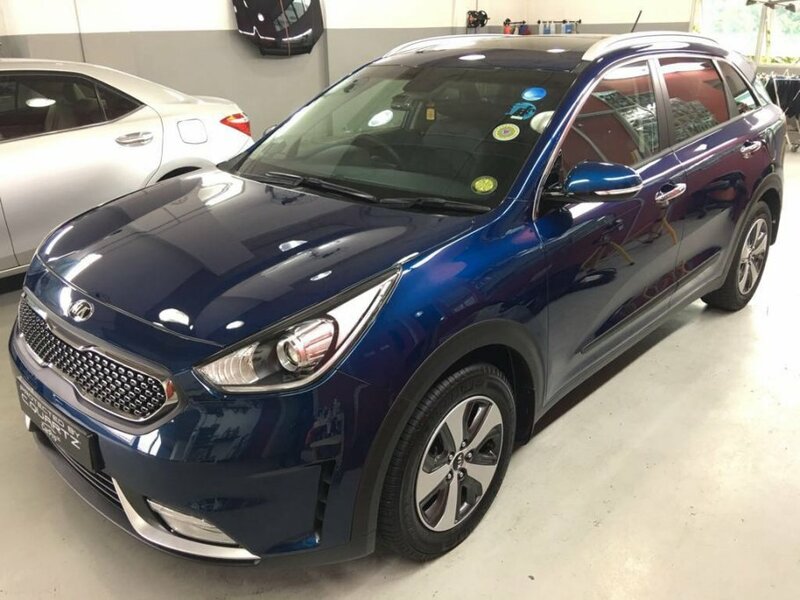 Was looking to have my renewed coe car to protect and decided to choose supremo after much consideration among some others. Book an appointment and upon reaching there, was greeted by friendly boss Wayne. Wasted no time in choosing the best package for my old car. Was told to come back 6 hours later to collect my car. 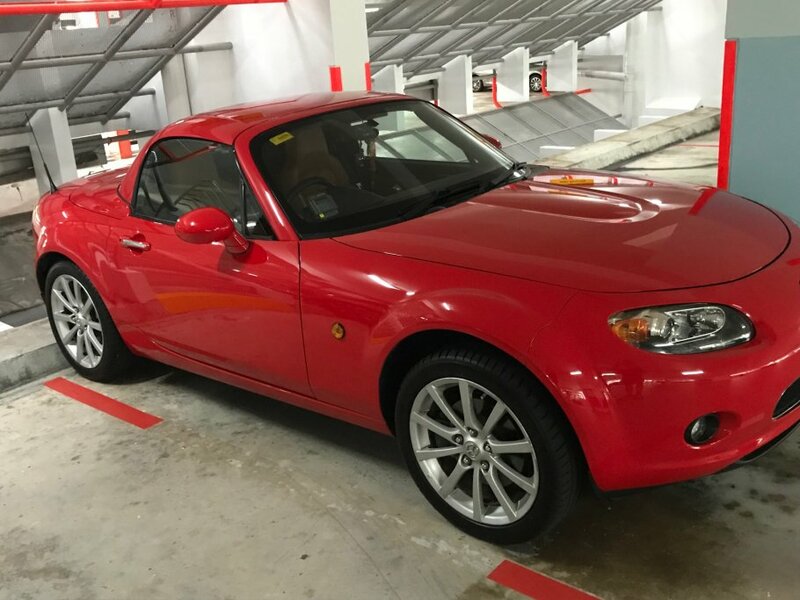 I was really impressed to see my car so shiny, condition better than show room car. Wayne also requested to come back 1 week later to ensure the protection has set in. The team also shared tips how on to mantain the car. Definitely a place to go for your car grooming. 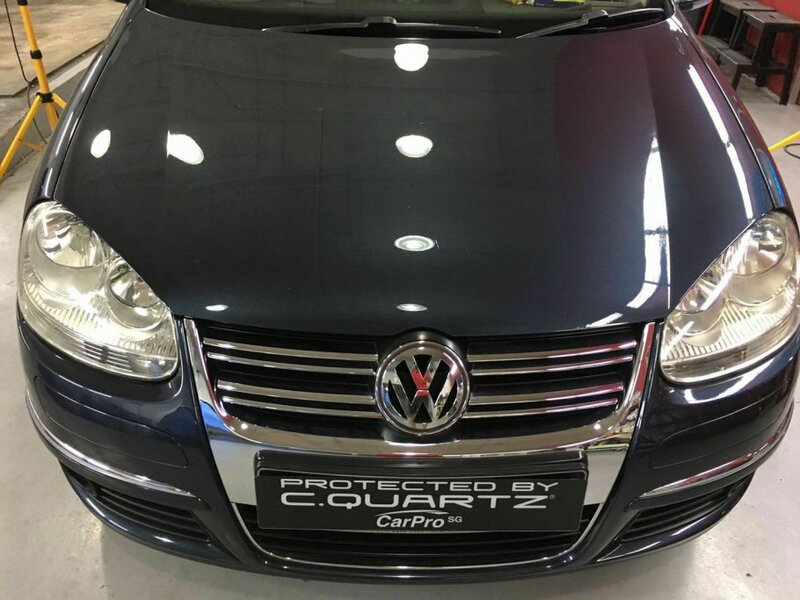 I recently learnt that Paint Protection System (PPS) plays an integral role in maintaining your car’S showroom shine and protects the paint from contaminants. Upon conducting a careful study about the range of products and groomers available in the market, I narrowed down to a few shops before settling with Supremo Car Detailer. I called Wayne, the owner of Supremo, who ran me through the packages available and the one that was most apt for my car. 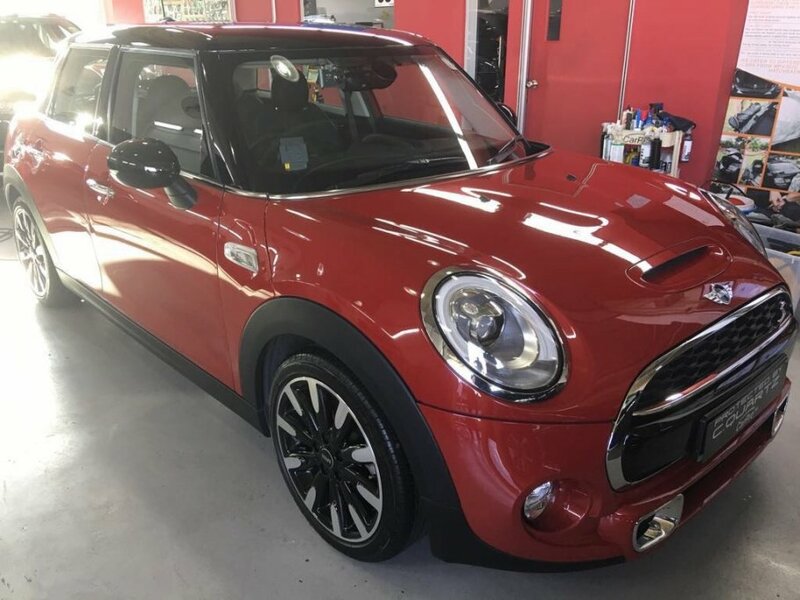 Being an avid car detailer myself, I was very particular about the downtime needed to complete the coating and the workmanship. After conversing with Wayne, I was impressed with his professionalism and he was willing to give a fairly competitive price. Based on his recommendation, I opted for the CQUARTZ Finest Package. On the actual day, I was greeted by his friendly staff as Wayne wasn’T present at the point of my arrival. Anson, Supremo’S Supervisor, kick started the coating process as soon as he took over the keys from me. Wayne arrived moments later and introduced himself soon after. He explained the processes involved and also offered advice on post-coating maintenance. I was impressed by his hospitality when he provided refreshments while I was eagerly watching the works of his crew. Just sent my new Bimmer to Wayne. For my previous 2 rides, I have been using PPS from the same brand which I feel in terms of service and cost have deteriorate tremendously. So after I read all the reviews for Supremo, I decided to give it a try. If you are to ask me, what differentiated which brand to use going forward, it has to be the service. I would give Supermo a thumbs up in terms of service. I observed them in how they perform their work and explanation, its without doubt that they are doing it with passion. There is no hard selling of products/services etc. Wayne and team gave me a very comfortable feeling when I communicated with them. Sent my Volkswagen Jetta MK5 for CQuartz Standard package today. Anson was very detailed and patient in explaining the different packages to me, and also in doing my car. After looking at the results of the grooming, I can definitely say I will go back to Supremo Car Detailer for grooming for my future cars! Definitely no regrets, value for money! I rarely do reviews. However I'm very impressed by Wayne and his team's passion and professionalism in what they are doing. 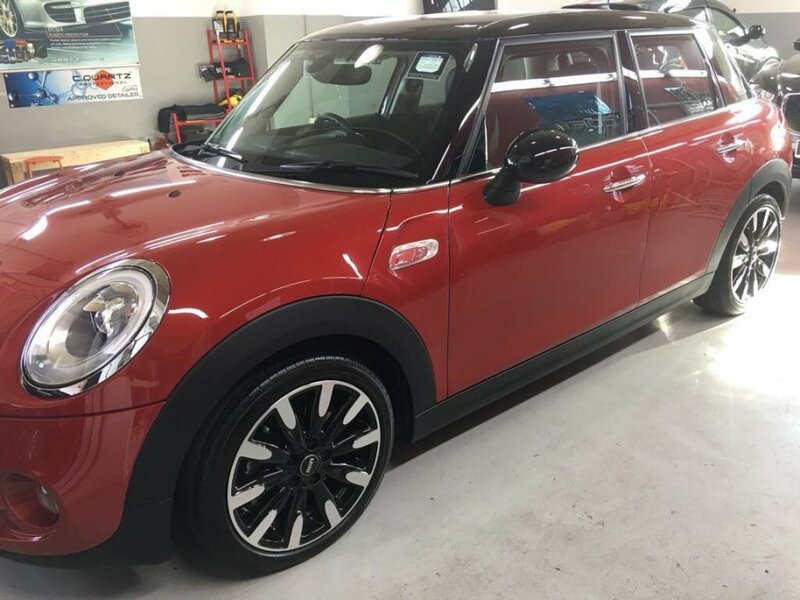 Wayne's detailed explanation of the coating process and the different product used clearly illustrated his in-depth knowledge on the business. His team has also made an extra effort to remove some scratches on our air-con console which was then missed out when we did our car collection. 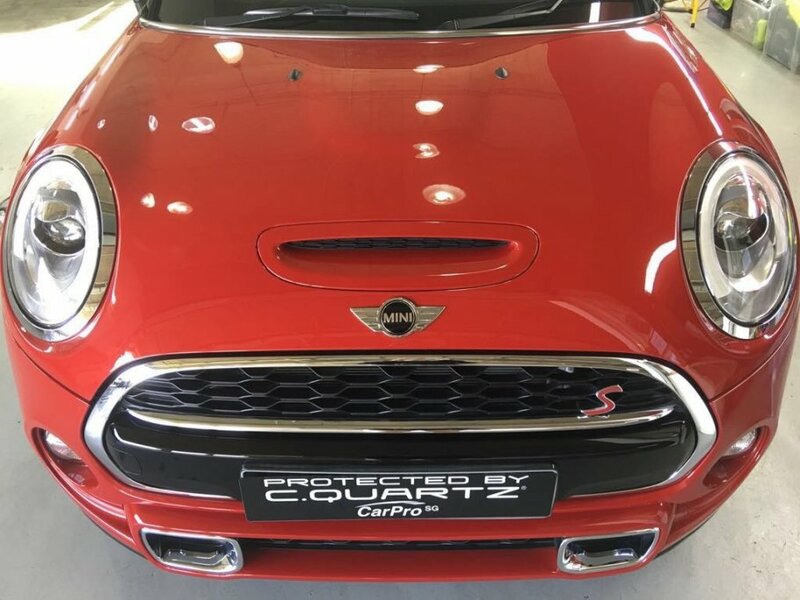 When the process was done and we were down to collect our car, Wayne described what had been coated on different parts of the car body including a demonstration of the hydrophobic effect on the car body, headlights and tyre rim. His further recommendation on the necessary care and maintenance are really valuable advice for us. In addition, Wayne requested us to come over again next week for washing and further inspections to ensure that the PPS sets in as per their requirements. 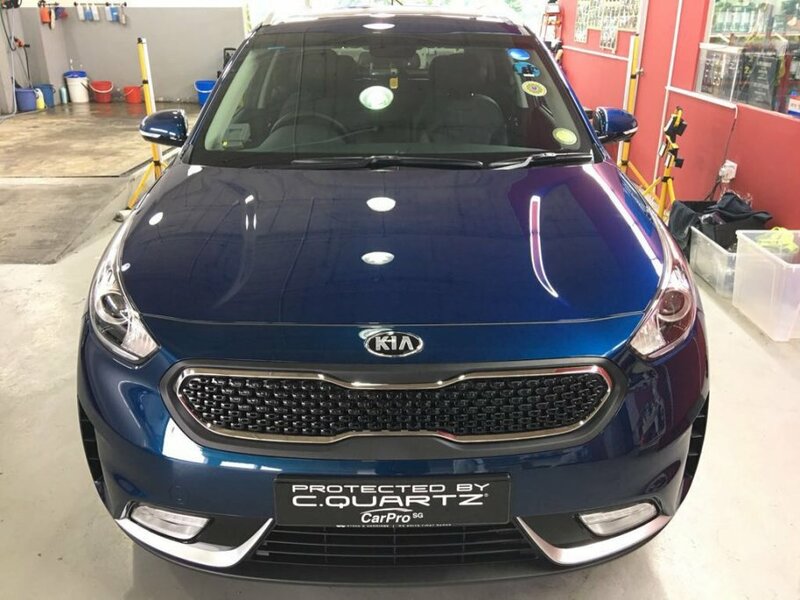 Overall, we are very satisfied with their service and quality of the work done and would highly recommend Supremo to anyone who wants to have their car coated. This is the first review I ever wrote at sgcarmart. I bought my first car Corolla Altis one month ago. A few friends of mine strongly suggest to do PPS for my new Corolla and they all say Supremo is THE place to go! :-) So, last Tuesday I went to Supremo for CQuartz Finest with my boy (school holiday). During my stay there, there were at least 5~6 car owners coming for PPS or follow up. I chatted with them and they all had pleasant experience with Supremo. Overall, I was very satisfied with the their work and I was impressed by their friendly attitude. I will drive all the way from Kovan to Supremo in future for follow up and car wash. Because I feel these guys worth my trust! And I will definitely recommend their service to my friends and neighbors. First of all, I need to mention my ride is black and when I brought it to Supremo it was already 3 months+ old. Prior to that, I had been washing my ride every once a week which is not enough to keep the paintwork in optimal condition. Before work was even started, Wayne and team assess the condition and show me even the minor defects that I didn't notice. One noticeable issue was the swirl marks all around the car. After work was started shortly, I left my ride with Wayne and his team. 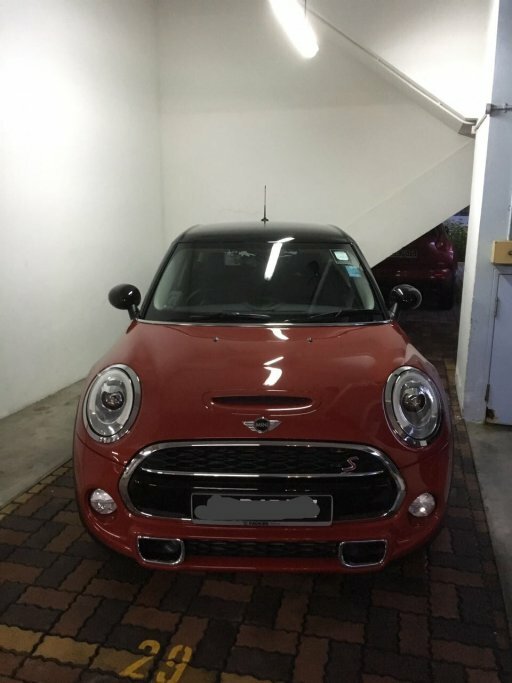 When I came back I was amazed that the swirl marks are gone and the amount of shine from the ride is even better than when I first collected the car from the AD. Thumbs up to Wayne and his team for their service and effort.